Fityle 9W LED Spot Light LED LAMP Use as Patio Feature Underwater or Pond - Red | Fountain City Art Ctr. - It can light up your whole room just as an expensive light fixture do, but save more than 90% of power consumption. - This light made of high quality metal materials, safe and long lifespan. - Perfect for tree lights wall park lawn garden Fountain Pool Pond Lake. - Long time working, produce low heat. - Working environment -20℃-40℃, suitable for unusual climate. It can light up your whole room just as an expensive light fixture do, but save more than 90% of power consumption. 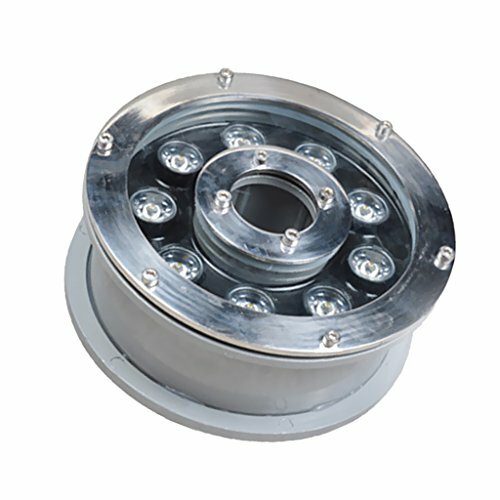 This light made of high quality metal materials, safe and long lifespan. Perfect for tree lights wall park lawn garden Fountain Pool Pond Lake. Long time working, produce low heat. Working environment -20℃-40℃, suitable for unusual climate.